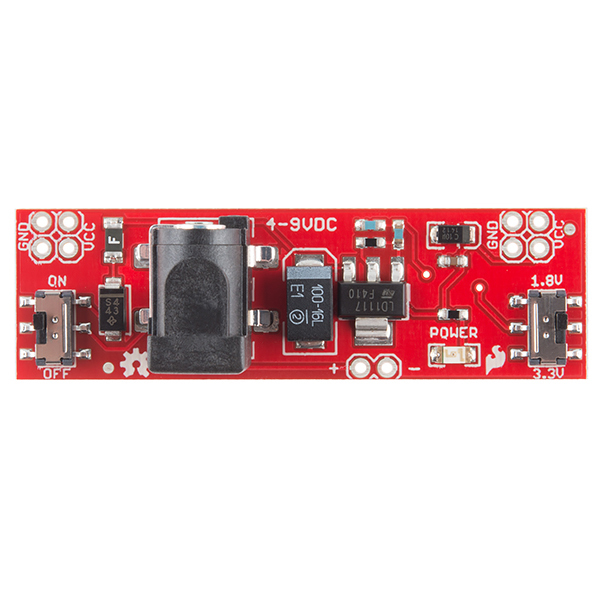 This is a very simple board that takes a 4-9V input voltage and outputs a selectable 1.8V or 3.3V regulated voltage. All headers are 0.1" pitch for simple insertion into a breadboard. 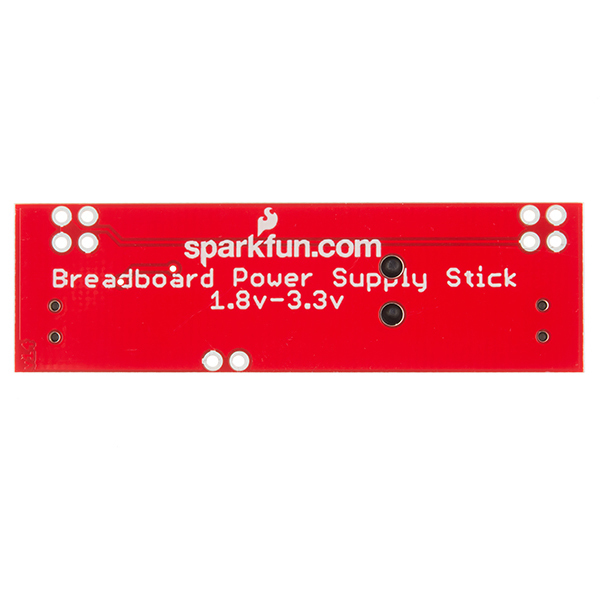 This might seem an odd question, but at 4-9V input... Has anyone considered making aversion of this board with a micro-usb input connector? I can't speak for everyone, but between phones and tablets, i have an excess of micro-usb cables laying around, and im sure I can't be the only one with nothing to do with them. 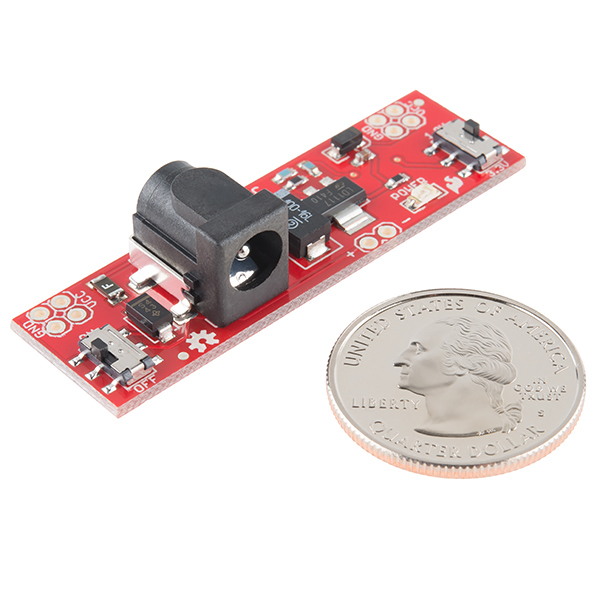 The regulator on board is rated to a max of 800mA. Need to be careful here - the 800mA Operating Current listed is misleading if not put into context. Only the regulator IC (LD1117) is rated at 800mA. 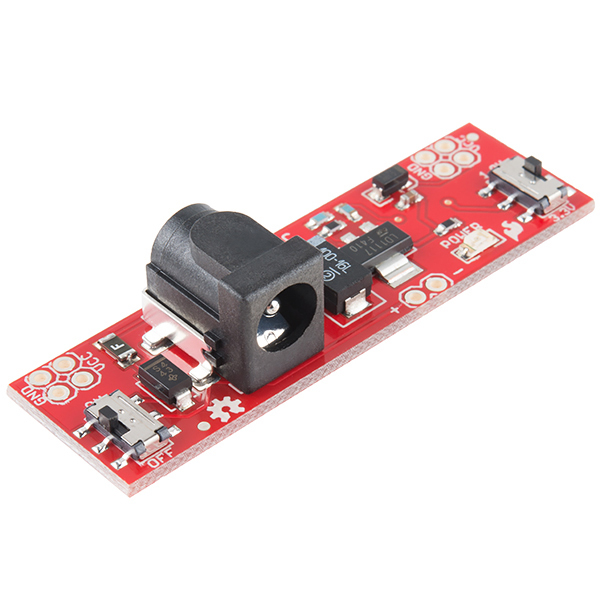 The total amount of current this board can supply is dependent on several factors, most importantly, the total power required (Watts, based on Vin, Vout, Iout), and the ambient temperature.